This week the world’s best golfers will congregate for the Masters on arguably golf’s most beautiful and most private 18 holes: Augusta National Golf Club. In 1931, an Augusta Chronicle headline reported, “Bobby Jones to Build His Ideal Golf Course on Berckman’s Place.” The course would be built on a nursery previously owned by the Berckman family. Since it was a nursery, each hole is named after a tree or shrub. Today, few would dispute that Jones built an ‘ideal golf course’ in Augusta National. Even though it was built in the depths of the Depression, Jones and his business partner, Clifford Roberts, enticed 59 men (no women in those days, and all the member were white) to pony up $350 each to join the new club. Augusta National opened in January 1933 and in 1934 the inaugural Masters was held. Horton Smith beat Craig Wood by a stroke to win. It was called the Augusta National Invitational at that time, since Jones disliked the term Masters, which Roberts preferred. Jones thought Masters too pretentious. The Masters name, however, stuck with the members, golfers and fans, and Jones lost out—a rarity on or off the golf course. Bobby Jones was a remarkable man. Born in Atlanta in 1902, he won his first golf tournament—albeit a children’s tournament—at the age of six at his home course of East Lake Golf Club in Atlanta. At 14 he won the inaugural Georgia Amateur Championship. In 1923, having just entered his twenties, he won his first major, the US Open. He won 13 majors (as they were counted at the time, US Open, The (British) Open, US Amateur, The (British) Amateur) in 20 attempts; a 65% winning percentage. (In comparison, between 1995 and 2015, Tiger Woods won 14 of the 76 majors he played, an 18% winning percentage.) In 1930 Jones won all four majors in one year, the Grand Slam, a feat no one else has ever equaled—unless you count the Tiger Slam. Although an amateur, Jones legally bet on himself to win all four majors that year with a British bookmaker. The odds: 50-1. Jones won more than $60,000—almost $900,000 in today’s dollars. During World War II, Jones joined the US Army Air Forces, where his superiors wanted him to play exhibition matches across the United States. Jones disagreed; he wanted to serve overseas. He became an intelligence officer serving in England with the 84th Fighter Wing and then went to Normandy soon after the D Day landings as a prisoner-of-war interrogator for a front-line division. (I wonder if any of the German POWs realized they were being grilled by one of the finest golfers ever and, if they did, did they ask, “Could you check my grip?”) Jones reached the rank of lieutenant colonel. Meanwhile, back in Augusta, Jones allowed the army to graze cattle on Augusta National’s fairways. Jones died in 1975 at the age of 72, leaving behind a legacy of sublime golf and a golf course for the ages. Between 1931 and 1933 Jones gave up his amateur status to go Hollywood and make 18 instructional golf films. The popular films made Jones a great deal of money. They were later put into storage and almost forgotten for 60 years until a distant cousin of Jones, Ely Callaway, founder of Callaway Golf, put them into video format to preserve them. By 1930, when Jones retired from competitive golf, he was one of the most recognizable sports figures in the world. Wherever he went, someone—and often many someones—recognized him. Sounds like Tiger at his height. Whereas Tiger bought a 155-foot yacht and called it Privacy—fish don’t ask for autographs or a selfie—Jones decided to build his own private course: Augusta National. 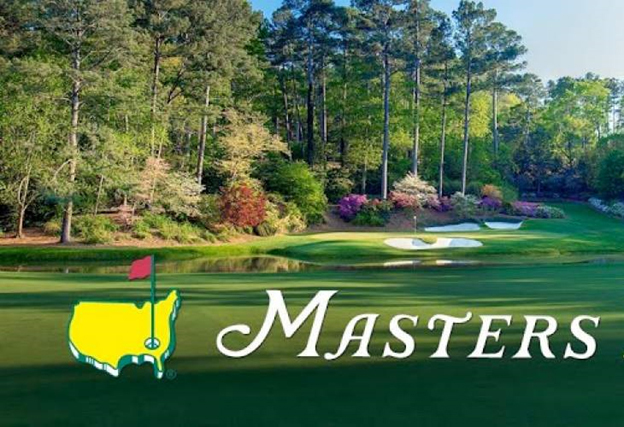 Augusta National is beautiful and has a host of famous features, including Amen Corner, Rae’s Creek and Ike’s Pond, the Butler Cabin, Magnolia Lane and the Crow’s Nest. But real golfers may wonder: just how hard is Augusta National? It’s difficult to say with precision, since, unlike almost any other major course, it has never been given an official USGA course rating. Members use a system devised by co-founder Roberts. A guess as to the rating? 78.1 with a slope of 137 according to former USGA former director Dean Knuth. Nick Price (1986) and Greg Norman (1996) shared the tournament course record of 63. Want to join Augusta National? Best of luck. There are about 300 members at any given time; all joined by invitation. Most are CEOs, leading politicians and athletes. If you are lucky enough—as in about as likely as winning the lottery five times—the fees won’t even compare to most other private clubs. Membership is thought to cost between $10,000 and $30,000 with annuals dues of about $10,000 a year. Then again, the course closes in late May and doesn’t open until October. Who wants to play golf in a sweltering Georgia summer? So, fill out your application and cross all your fingers and toes. Maybe, just maybe, you’ll get to walk the hallowed fairways of August National where Bobby Jones wanted a place to play golf in the utmost privacy. For a week in April, that privacy is a thing of the distant past. Thousands of lucky patrons, as the fans at the Masters are called, and as many as 14 million viewers watch the pros play on the fairways Jones designed, walked and played. It is a sublime experience, even if there’s no privacy in sight.